The red and white round serving tray 13" / 33.5 cm from the Cosy & Trendy brand is a is an essential barware item with a vibrant retro style. 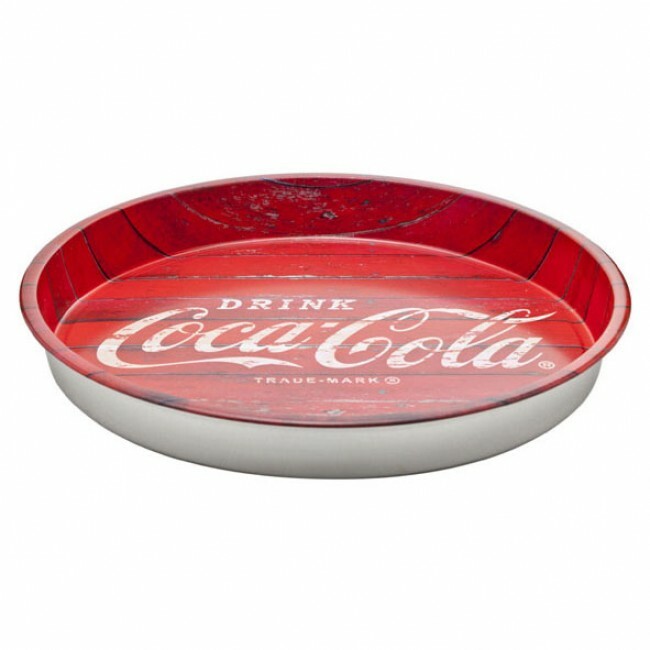 Both vintage and modern, this Cosy & Trendy round metal Coca-Cola bar tray is suitable to serve drinks easily. Professionals will be delighted by the handiness of this beautiful Coca-Cola retro service tray by Cosy & Trendy.